I'm over at So Suzy Stamps today designing this card. 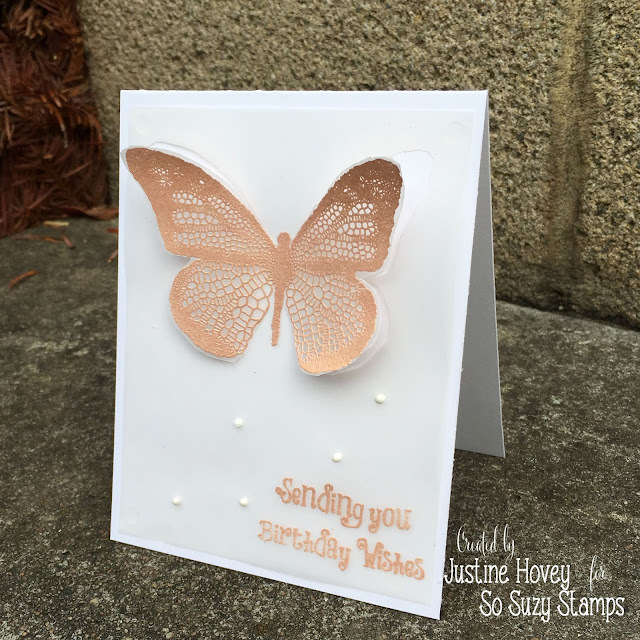 I created it with some amazing Rose Gold Embossing Powder from The Ton Stamps and the Fancy Butterfly and Birthday Wishes Stamp from So Suzy Stamps. As usual I have a video explaining the process. This is quite a quick and easy card depending on how fast you work with a craft knife.